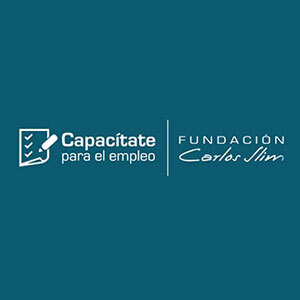 Get Trained for Employment (in Spanish: Capacítate para el Empleo) is a digital platform that provides online tools to all people who wish get trained for a job for free, regardless of previous experience. The platform includes training for numerous professions in different productive sectors. Through video tutorials, the qualities, knowledge and skills needed to comply with the job of interest are explained. It has 3'011,732 students and a job board with 54 participating companies with 22,325 people hired. The Clinton Giustra Enterprise Partnership is an approach to poverty alleviation, through an investment fund for the development of productive projects in Colombia, El Salvador, Haiti and Peru. These projects seek to generate economic development alternatives to benefit people with limited resources. Through a social enterprise model, small producers are helped to receive better prices for their products through the elimination of intermediaries, technical advice and linkage with the market. In addition, a retail model that generates income opportunities for entrepreneur women is offered. Finally, a job training model aimed for young people in a precarious situation is offered as complement, with links to obtain formal jobs. The Historic Center of Mexico City Foundation was constituted in 2002 to carry out the revitalization of the central neighborhood of Mexico City, through the implementation of programs to improve the quality of life of its inhabitants. More information in this subject can be found in the Economic Development section. jobs has been directly and indirectly generated.